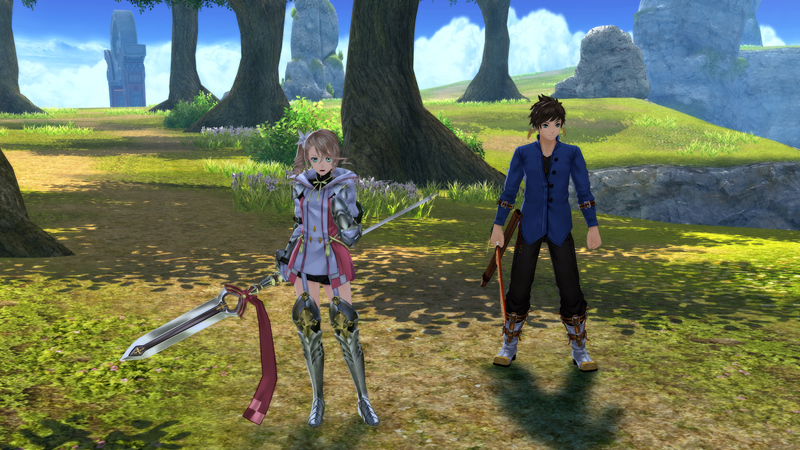 Starting with the good news, I’ve completed another port analysis for PC Gamer, this time around for the recent Steam release of Tales of Zestiria. In short, it’s about as good as a 30-fps-locked port can be, and I was particularly impressed by its keyboard and mouse input support. To mark the occasion I’ve also pushed a profile for the game to the GeDoSaTo repository, which allows correct mouse mapping while downsampling and includes a PSHash for HuD toggling and HuD-less post-processing/screenshots. Talking about GeDoSaTo, I’m well aware that the most recent version introduced serious compatibility/injection issues for some, and I’ve already invested some time in trying to pin those down. At this point, I’m still not sure what’s going on, but my best guess is that it’s related not to any code change but to switching to the latest version of Visual Studio and its runtime library. In general, getting the redistributable for Visual Studio 15 might help. Overall, I fear like the only solid solution to this issue is creating a separate “shim” .dll for GeDoSaTo which doesn’t link any CRT library, injecting only that in all processes, and making the decision whether to actually load GeDoSaTo in that separate dll. This is a heavier undertaking, and I plan to give it a go this weekend. If anyone has any ideas (well, viable ideas, not pure speculation) about other potential causes for these recent issues I’d be happy to hear it. This entry was posted in Uncategorized and tagged article, gedosato, injection, tales, tales of zestiria by petert. Bookmark the permalink. That analysis was very interesting. You are a pretty cool and objective guy, i didn’t knew you wrote for PC Gamer too. Shame i don’t really like most of the other PC Gamer writers for being outright tools. Durante sama! thank you again for your work! I want to ask some question. I think that the best graphic improvement in games beyond aliasing is… FOG! Games without FOG! Thats a terrible problem with games today. I hate that foggy landscape of Skyrim or Assasins creed (X), for example, but its a really bad practice today (wicher 3, bioshock infinite, open wordls in general!) I can remove the fog from some games using “setfog 0, 999999″ (Skyrim) “enablefog 0″ “graph.enablefog 0″ “DisableSkydomeFog=1″ but in somegames there is no way to do it. is there a way to cut the fog from games with gedosato? Why we must eat fog in every game? I think it ruins all the graphics, no mather how beatifull its the game, fog ruins everything. What do you think? I assume you’re talking about Zestiria? Also, Tales of Zestiria is missing from the whitelist. Sorry about all the separate comments. Oh crap! That’s the second time I added something to my user whitelist for testing and forgot to migrate it to the main list. I just made a PR adding both Zestiria and Umihara to the whitelist. Why don’t you just add games to the main whitelist when testing? It’s not like you have to worry about GeDoSaTo updates overwriting your settings. Just a note, but toggle hud only works if FXAA is set to High in game. Does nothing if it’s on Low or Medium. Might be worth mentioning that in the settings file comment. Yes, I should mention that. Not that there’s any measurable performance difference at all between them. Added it to my PR. Recently I switched to Visual Studio 2015 for my own Software-Project. When I release the new version a lot of people had trouble installing the Visual Studio 15 resdistributable (I link to the dll-Version of the crt). This was mainly because some prerequisite Windows-Updates weren’t installed yet (e.g. KB2999226). Maybe these missing updates are the reason for the instabilities even if you use the static crt-libs. Already had that update and the redist installed. No effect. It’s too bad about the viability of the framerate fix, but the port has turned out pretty good so far. No complaints here. Going to experiment with some post-processing mods tonight to see if I can get a look out of it that I prefer over the default. I’m happy with the way it looks as-is, though. In the meantime, how about access to the previous version that wasn’t completely broken for a lot of us? You can access any version ever released on GitHub. Just navigate back to the relevant commit and download the dll. My screen res is 2560×1440, the only res I find in any game higher than my res after activating GedoSato is 3840×2160. How do I enable 7680×4320 for example or make it available in-game ? Tried DS2, Tales of Zestiria and even bioshock infinite. Hmm, if you don’t see the resolutions then something is going wrong with the injection. Do you get the GeDoSaTo overlay if you try any of the hotkeys?